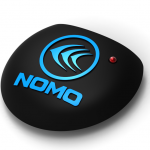 NOMO is a proven technology designed to make fishkeeping and aquarium maintenance simple and truly enjoyable. The fishkeeping industry has struggled to keep up with technology over the years. One of the greatest fishkeeping challenges is frequent water changes. 2 week water change cycles are typical. MannMade developed a novel and inexpensive main processing board to keep the water clear and clean with microcurrents. This unique approach allows for no water changes for up to 2 years. The design also allows for easy installation on the side of a fish tank. Current regulatory tests can be very expensive. And introducing high current mains power into an in-tank system intruduces signficant regulatory challenges. Many fishkeeping electronics introduce bulky plugs and extension cords. Many products in the electronics industry are being copied and sold as competing devices. Many times patents and intellectual property cannot protect international markets. proprietary firmware to protect the Nomo design and intellectual property. Nomo is successfully selling these units, and looking to scale rapidly and globally.